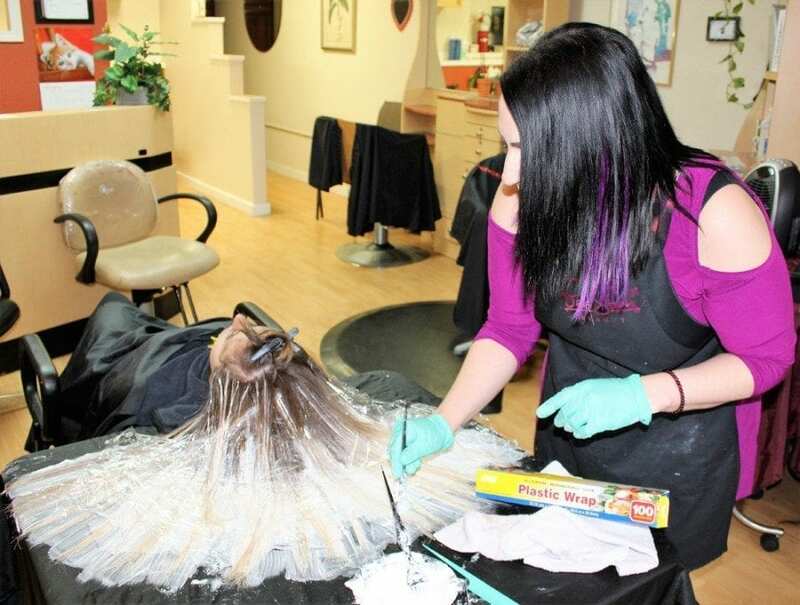 VANCOUVER — It’s not unusual to hear hair colorists say their work is a lot like making art — the lighteners and hair dyes are their paints and the client’s hair, of course, is their canvas. And, while most hair stylists tend to mimic the classical artists, sticking with tried-and-true techniques, sometimes you find a hair artist that is pushing boundaries and coming up with looks that catch you by surprise. Samantha “Bee Sam” Borenheim, who works at the Cut Loose Hair Design Salon in downtown Vancouver, is one such hair artist. When she’s not transforming runway models from pretty to amazing at fashion shows throughout the Pacific Northwest, or traveling to photo shoot locations with her husband, Bee Sam can be found inside the Cut Loose Salon, perfecting her outside-the-box coloring techniques, adding a bit of sparkle to a young girl’s hair or convincing perm-shy clients that the latest curling methods can make them look like a goddess. On a recent Wednesday morning, Bee Sam was just finishing a process known as “layage” on her client, Anita Thomas. The scene was unlike most salons. Instead of sitting upright in a salon chair, Thomas was reclining, her long blonde hair fanned out on flat table surface. Bee Sam worked her magic, painting Thomas’ locks with hair color that would gradually alter the shades of blonde in Thomas’ hair, giving the young Vancouver mother a look that is more natural than traditional highlights. “I had been coming in for highlights, but this is much better,” Thomas says of Bee Sam’s “layage” technique, which provides the natural, sun-kissed look that many women remember from their childhood but can never quite achieve with boxed dyes or traditional highlights at the salon. What’s more, Bee Sam says, the layage technique — a take on the traditional balayage hair coloring technique that is done on a flat surface while the client “lays down” — blends more naturally and tends to last a lot longer than traditional highlights, so it’s more cost-effective for clients who don’t want to come into the salon every six to eight weeks for color touch-ups. Thomas, for instance, says she used to get regular highlights, but found that her layage color lasted much longer, with nearly seven months passing in between her last layage appointment and Wednesday’s session with Bee Sam. For Bee Sam, the art of hair coloring, cutting, perming and styling is more of a calling than a profession. That wasn’t always the case for the Vancouver stylist. In fact, before she became “Bee Sam” of Bee Sam Beauty just a little over four years ago, the 36-year-old worked a variety of jobs that paid the bills but didn’t satisfy her creative personality. Most of those jobs, however, gravitated toward the health and beauty industries. 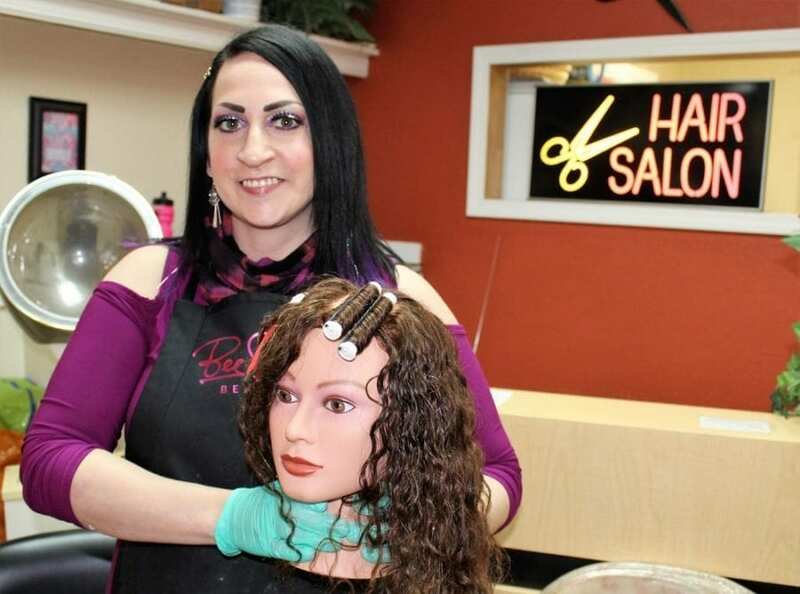 She had counseled Jenny Craig clients hoping to lose weight and been director of admissions at a Portland cosmetology school, but when she earned a scholarship to study cosmetology, Bee Sam knew that was her future. For the past four and a half years, Bee Sam has been working to make a name for herself in the local and regional beauty scene — traveling to fashion shows in Seattle and Portland often to do hair and makeup for the runway models and, with the help of her husband, Levon Guiragossian, filling her website and social media accounts with photos and videos showing off her best hair and makeup work. She also works weekdays at the Cut Loose Hair Design Salon, at 1003 Main St., in the heart of Vancouver’s downtown and often collaborates with other women who own and work in Vancouver’s many small businesses. Customers rave about Bee Sam’s work online and some of her videos have “gone viral,” reaching thousands of viewers all across the world. 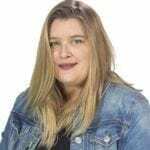 Still, she says, most of her fan base is local and that’s partly because Bee Sam focuses her marketing efforts in the Vancouver area, but also partly because there’s nothing like word-of-mouth to build a client list for a hair stylist. 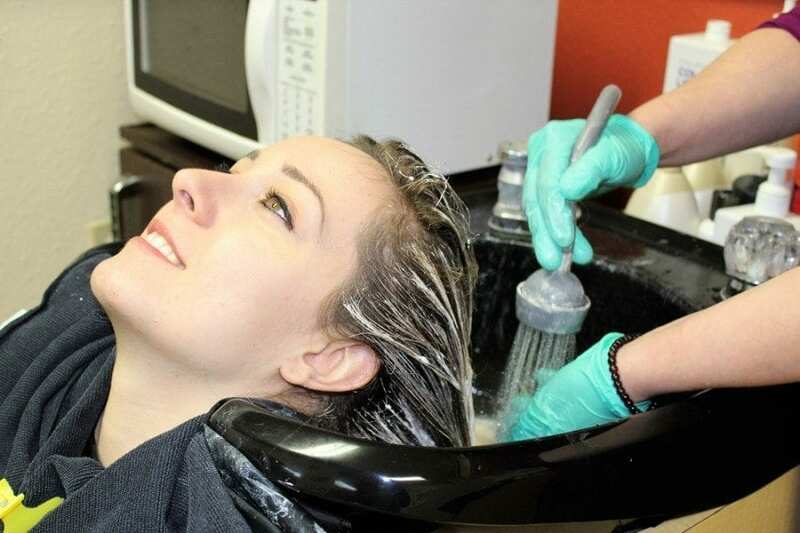 At Bee Sam Beauty, customers will get specialized attention and a hair artist who wants to know exactly what the client is looking for before she suggests a certain cut or color. She says much of her work as a hair stylist is more about connecting to the person than about the techniques she uses. To view more of Bee Sam’s recent hair art, visit her website at beesambeauty.com or go to her Facebook site at www.facebook.com/bee.sam.33. To contact her about making an appointment, email her at beesambeauty@gmail.com, call her at (503) 488-0095, or visit the Cut Loose Hair Design Salon at 1003 Main St., Vancouver.